All donations are tax deductible as allowed by IRS regulations. In the United States, diabetic kidney disease, or DKD, is responsible for more than half of all new cases of end-stage renal... The post End-Stage Kidney Disease: A Possible Biomarker of 10-Year Risk—and Therapeutic Target—for People with T1D appeared first on JDRF. The human pancreas is very difficult to study, as JDRF-funded scientists well know. It cannot be imaged or safely biopsied from a... The post What is nPOD? 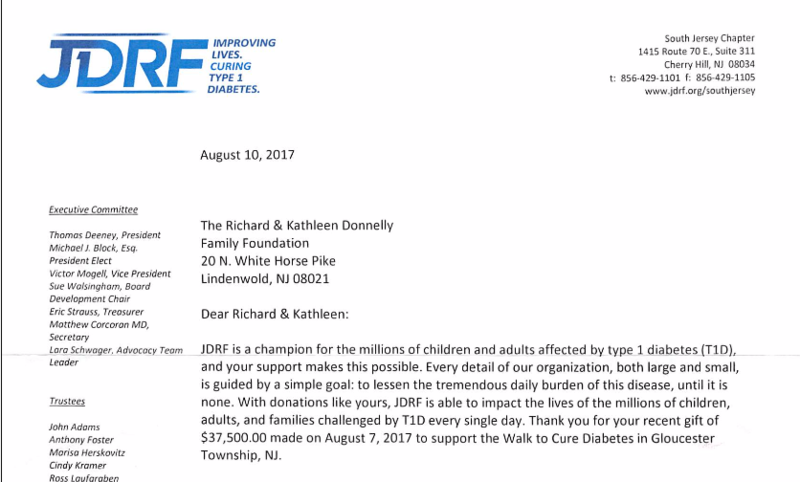 appeared first on JDRF. Chief Mission Officer to assume leadership baton from Derek Rapp After a thorough national search, the JDRF International Board of Directors has... The post JDRF Names Aaron Kowalski New President and CEO appeared first on JDRF. The Foundation benefits philanthropy, voluntarism and grant making foundations, focusing specifically on private independent foundations programs. JDRF is the leading global organization funding type 1 diabetes (T1D) research. JDRF’s goal is to progressively remove the impact of T1D from people’s lives until we achieve a world without T1D.